Originally published on the American Conservative. Robert Kennedy Jr. and Robert De Niroconveneda news conferenceon Wednesdayat the National Press Club to announce a$100,000 cash rewardfor anyone who identifies a peer-reviewed scientific study demonstrating that the mercury in vaccines is safe. Though the challenge was perhaps something of a stunt, the significance of the appearance was underscored by Kennedy’s confirming that President Trump may ask him to lead a commission on autism. The consequences of such a commission could extend beyond the narrow vaccine/autism debate. More significantly, the commission could expose the incentives driving vaccination policy, which, in the current political climate, could movemainstream opinionagainst vaccines and also bolster doubts about the integrity of the health-care system. Trump’s central point that diagnoses of autism have skyrocketed alongside an increase in childhood vaccination is not in dispute. The term“early infantile autism”was first introduced in 1943 based on clinical observations of eleven children. When Austrian pediatrician Hans Asperger published agroundbreaking paperon autism a year later, it drew little attention, and, indeed, was onlytranslated and annotated into English in 1991. Possible links between immunization and autism did not draw much comment in subsequent years because mass vaccination itself was not yet a common practice. It wasn’t until 1949 that the combined diphtheria, pertussis, and tetanus(DPT) vaccinewas licensed in the United States for pediatric use, and it was only around this time that large-scale vaccine production for public health became feasible. The more salient question is whether vaccines are contributing to the wave of autism diagnoses since the 1980s, when major policy changes related to immunization were enacted. By 1981, under the Childhood Immunization Initiative, all 50 statesinstitutedlaws linking school eligibility to immunization—an effective mandate far more stringent than what is instituted inCanadaandmost European countries. A surge of lawsuits followed and, in a series of high-profile settlements, manufacturers of the whooping cough and polio vaccines were held liable for injuries in children. In response to warnings from pharmaceutical companies that they would cease producing vaccines amid such a precarious legal environment, President Reagan, in 1986, signed into law theNational Childhood Vaccine Injury Act. Themandatory no-fault compensation systemestablished under the new legal regime shields vaccine makers from civil product liability, as it forces victims to file initial claims under a federal vaccine compensation program in which awarded damages are paid by taxpayers. The law was a boon to vaccine manufacturers. The vaccine business, as theWall Street Journalreports, was “transformed from a risky, low-profit venture in the 1970s, to one of the pharmaceutical industry’s most attractive product lines.” From$500 million in 1990,vaccine-industry revenues have grown to$24 billion today, expanding the pharmaceutical industry’s ability to enter into public-private partnerships,lobbyfor lower licensing standards for vaccines, andadvocateagainst vaccine exemption laws. Both the rate of vaccination and the rate of autism have spiked over the past three decades. 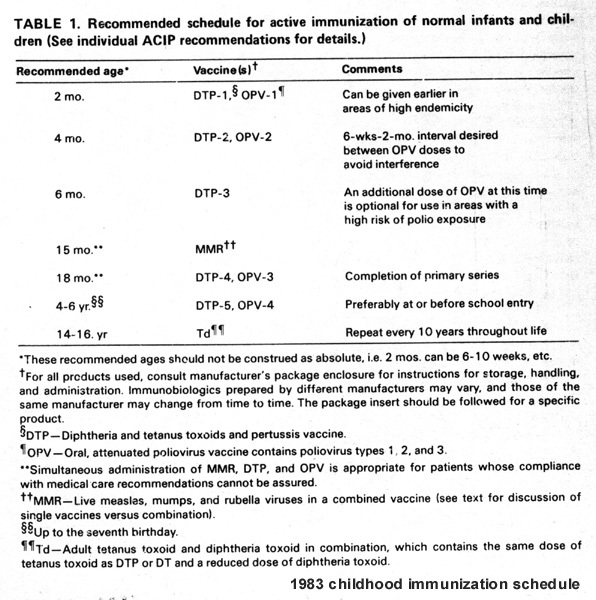 From23 doses of seven vaccines in 1983, the recommended immunization schedule hastripledto 69 doses of 16 vaccines, and Americans are now“required by law to use more vaccines than any other nation in the world.”What fuels vaccine hesitancy is the fact that, for several decades through the 1970s, childhood autismremainedat a steady rate of about four in ten thousand children. After three decades of steady increases since the 1980s, however, the childhood autism rate,according to the CDC, has climbed to 1 in 68 or 1.5 percent. Andrew Wakefield, an academic gastroenterologist whose controversial research on the MMR vaccine sparked a worldwide debate on possible links between immunization and autism. All of these experts either have children with autism or were drawn to the field after personal encounters with parents who are certain that their children suffered from vaccine damage. This, as Kennedy remarked today, has made an impact on Trump. Asked to explain his persistence on the issue, Trump has consistently cited the testimony of parents who attribute theonsetof autism in their children to vaccines—parents, he suspects, who“know far better”than the experts who assert instead that autism is genetic or starts in utero. If Trump ultimately establishes a commission led by Kennedy, and the commission provides a platform for vaccine skeptics, millions of Americans would be exposed for the first time to counter-narratives in the vaccine/autism debate. They would see that the very term “anti-vaxxer” ismisleading. The voluminous writings of the “anti-vaxxers” in fact reveal little in the way of unified opposition to vaccines. Their views, to the contrary, are quite diverse in terms of which vaccines they endorse, the schedules they recommend, and their assessments of vaccine risk in relation to more natural alternatives.Kennedy himself isexplicitly“pro vaccine,” had all six of his children vaccinated, and believes that “vaccines save millions of lives.’’ But he questions the safety of neurotoxins in vaccines, particularly the mercury-based preservativethimerosal, given its causative link to brain disorders. Why then are vaccine skeptics treated with such contempt in establishment institutions?There are, it is true, growing numbers of writers such as the science journalist Maggie Koerth-Baker, who, after advancing the conventional narrative on vaccines, decided to study media reporting on the issue. She ultimatelycriticized her colleaguesinAeonfor their failure to acknowledge that vaccine rejection can be a “rational choice.” Yet standard accounts, insofar as they even mention thegenuine debate among experts on vaccine safety, often ignore the science informing these objections. Nor do they grapple with personalized approaches to vaccine decisions that, as Prof. Maya Goldenbergargues, are not ignorant per se but can produce cost-benefit analyses that depart, in individual cases, from public health orthodoxy. In addressing this question, it’s important to consider what vaccine skeptics, including those in Trump’s orbit, do have in common. Rather than a doctrinaire view on vaccines, what unites vaccine skeptics is a suspicion that a corrupt regulatory system, driven by the“seamless marriage”between the health establishment and government agencies, is succumbing to the temptations of“bureaucratic preservation.”The consequence, they fear, is routine data manipulation and stifling of dissent. A legal paradigm—upheld by the Supreme Court’s 2011decisioninBreusewitz v. Wyeth—that does not permit class-action lawsuits or the checks and balances that prevail in almost every other industry, they argue, only exacerbates the risk. While Trump can be faulted for his simplistic rhetoric on the issue, his objections appear to stem from legitimate questions. At a moment whendoubts about vaccine are growingand when the federal government, the big pharmaceutical combine, and health-care industries are thethree least trusted institutions in America, a presidential commission would seem sensible. Pratik Chougule is an executive editor atThe American Conservative.